4 Compartments Clear View Anti Stock Theft Locker. 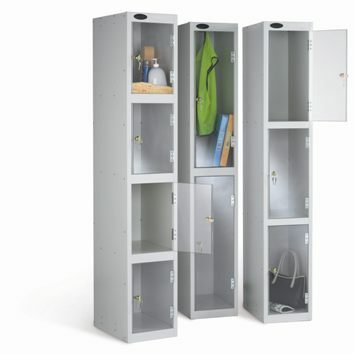 Where you need to have visibility of the contents of lockers at all times or where security is a consideration then the clear view lockers will provide the solution. 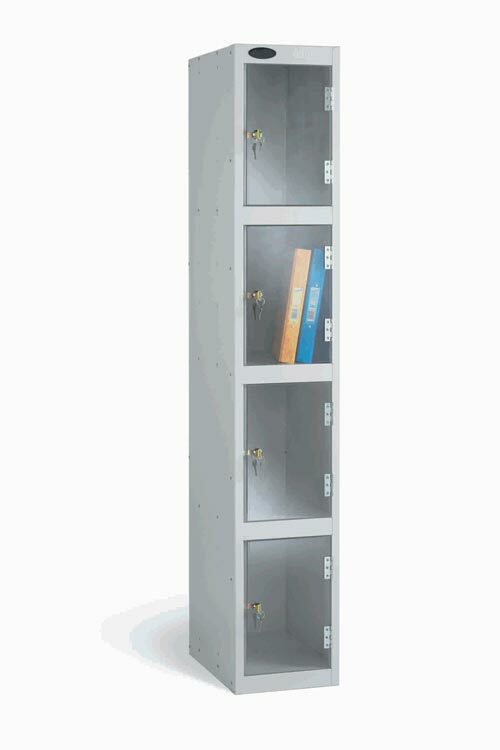 With Clear polycarbonate doors fitted to extremely robust steel lockers. Available in three different sizes and with a choice of locking mechanisms. All with the added protection of Activecoat anti-bacterial powder coating.